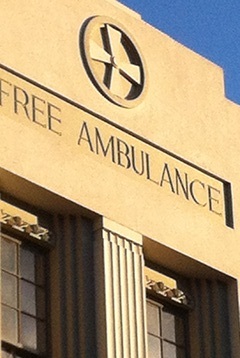 Quick game of word association…….how would you associate an ambulance and a bar? I bet you were thinking: drunken youths drinking way too much to the point of requiring medical attention in the form of an ambulance. 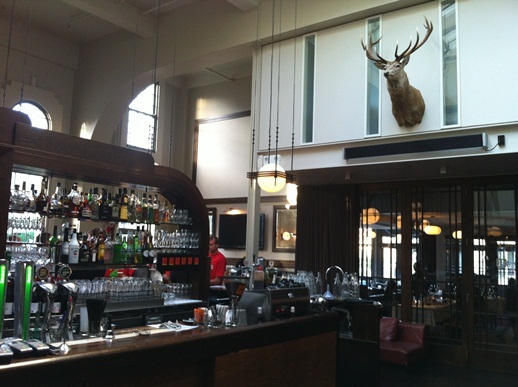 However, this is not the case with St. Johns bar in Wellington, NZ. St Johns bar used to be the Wellington free ambulance building in the 1930’s, it was the first purpose built ambulance building in New Zealand. Upon receiving an emergency call, the doors of this now iconic Wellington bar, once flung open and out sped one of the St. Johns ambulances. These days the only things speeding out the door are patrons with their drinks as they head for the bean bags on the grass patch out the front. On those cracking Wellington days, the grass area is always packed without fail. Sensational views from the grass area at St Johns on a cracking Wellington day. St Johns bar – site of the former Wellington service. 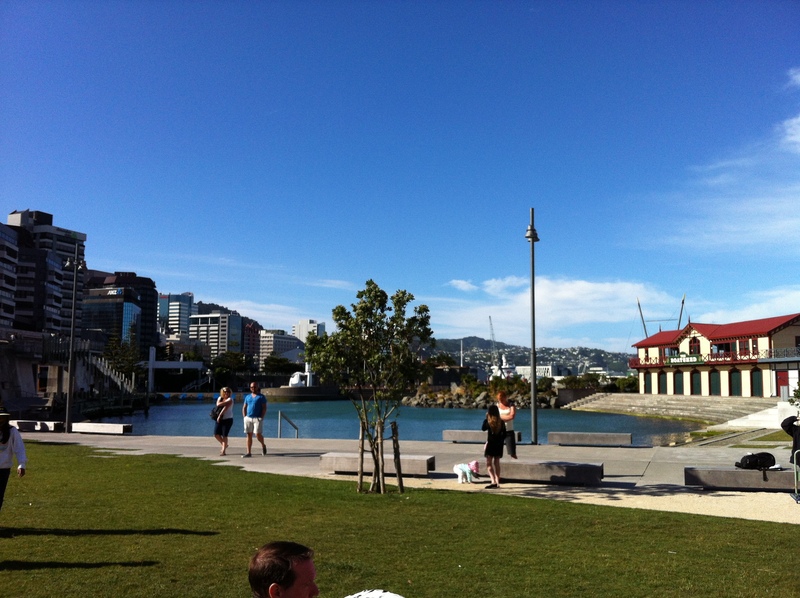 The popular saying “you can’t beat Wellington on a good day” was to the fore. The grass area at St. Johns was the perfect place to enjoy an early new year’s eve with the rug rats that belong to kiwisinoz’s family and friends. We even made an appearance on live TV. TV3 National News did an item on how each major city was preparing for NYE, for Wellington they filmed right in front of us at St Johns. As the darkness descended, the rug rats were shipped off to their homes (each set of parents drew straws to determine who would be able to come back to see in the new year proper). We all moved indoors. St Johns is one classy venue inside, let me tell you! The stylish interior fit out matches the old art deco building perfectly. It’s not really a venue for those who have just reached legal drinking age, rather it’s for those who appreciate the stylish surrounds rather than those requiring an ambulance after a trashy night on the turps. St Johns has the name “Heineken” in its title. Despite this there are a variety of ales available, including NZ craft beer. However this correspondent stuck with Henies on this occasion (it was far easier to order…..“5 henies please”). 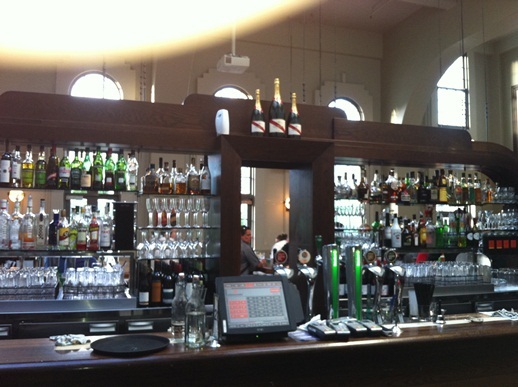 If you happen to be in Wellington on one of those sensational days, St Johns bar is a must!